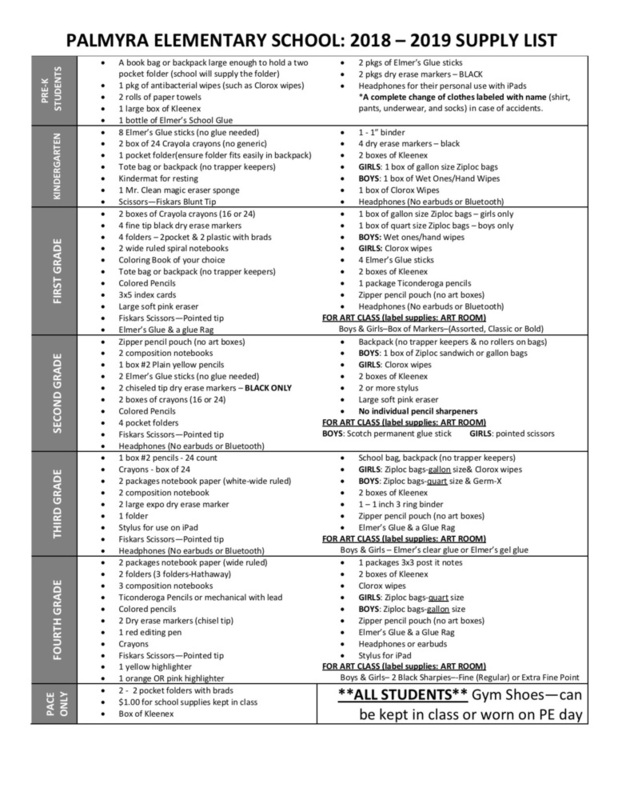 PES School Supply List is now available! The first day of school is Wednesday, August 15. Your student is welcome to bring their supplies with them on Monday, August 13 for Meet the Teacher night!